Fureyon wrote: Came back to watch the video, loved it! This definitely gives me some ideas about how to employ the draughsuit. Our playstyles are pretty different. I'm glad you liked it. It was a very tough campaign to complete without dying. Wait if you like, or don't, it's totally up to you. There are lots of awesome doom level packs out there that are lots of fun and would go great with this gameplay mod. With the Powersuit VS Draughsuit paths, that gives you essentially two different ways to play the same level pack as well so you get a different experience for each playthrough. I don't want to spoil what the "Big Thing" is... but let me just say that I am working tirelessly on it because of how much I really just can't wait to play the whole thing myself! What you are playing in this update, will not spoil any of it, that I can guarantee you. I figured that the same thing might happen with other map packs if it happens with base Strife. EDIT: No, you can pick up the barrels. I'm just silly. Sh4d0wS14d3 wrote: Could Guncaster Vindicated separate the additional map pack from the base mod? Nope, that would require that I re-release a map pack separately that I have only slightly altered. That's not something I like the idea of. However, the problem you are experiencing with the messed up textures is not caused by the map pack, it is caused by the included textures that are indeed overriding the textures for strife. That is 100% my fault, and I will try to have it fixed in the next update. Sorry for the inconvenience. It should be a simple matter of filtering those textures to be specific to doom and not allow them to be used when running strife. This way, when you run vindicated it will have the textures working properly when you use DOOM.wad or DOOM2.wad, but when you run strife.wad they won't be included and the textures for strife will work correctly. With this fix, everything will still be in one neat package, and the textures will be fixed with no need for additional mutators/packs to make the mod run as intended. tl:dr - I'm going to just fix the textures so strife will work properly without separating the maps. Sh4d0wS14d3 wrote: I figured that the same thing might happen with other map packs if it happens with base Strife. 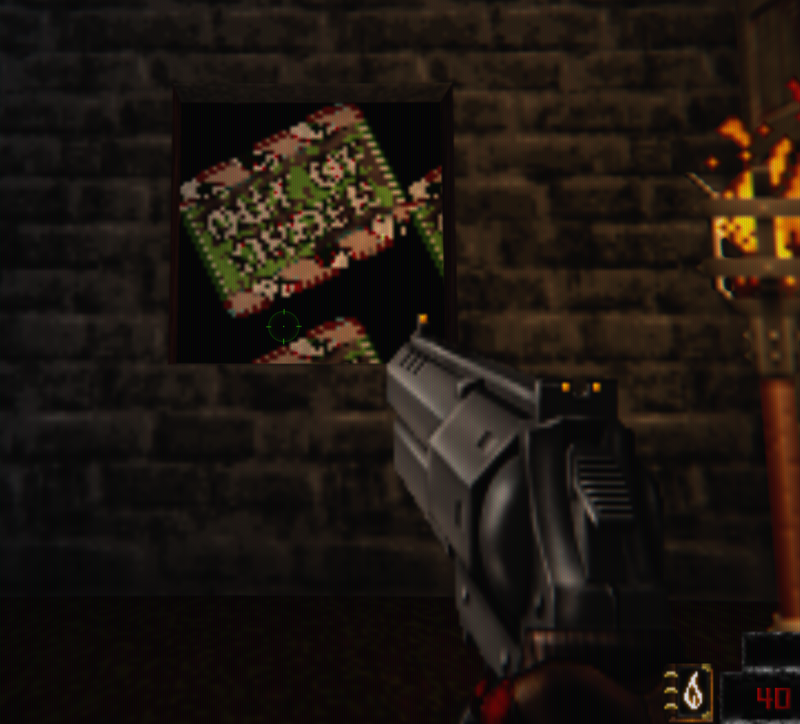 No sir, these textures do not override any of the base DOOM.wad or DOOM2.wad textures. 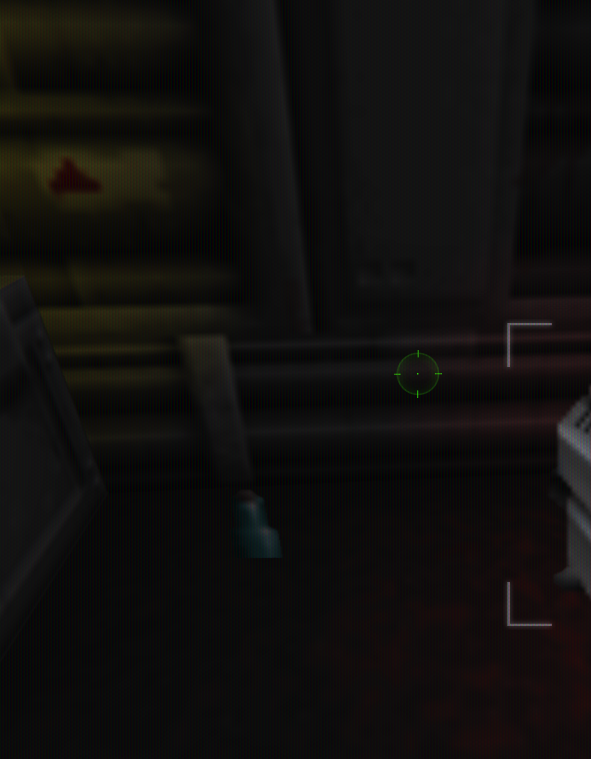 All the original textures are preserved, you can test this by playing vindicated with DOOM2.wad and starting the "Hell On Earth" levels instead of the "Vindicated Campaign" levels, or just playing DOOM.wad. You should notice that all the familiar textures from the original games are preserved. Map packs that feature special textures such as Ancient Aliens come with their own textures built right into the map pack. The texture files from Ancient Aliens will override any textures with the same name that might be included in Vindicated because they are loaded AFTER Vindicated. Remember, when loading mods, the last file loaded overrides anything that shares the same name from previous files loaded. iwads such as Strife.wad, DOOM.wad, Heretic.wad, Hexen.wad, DOOM2.wad, Plutonia.wad, and so on... are always loaded FIRST. These are the base game files required for GZDoom to be able to start and know which game you're about to play. 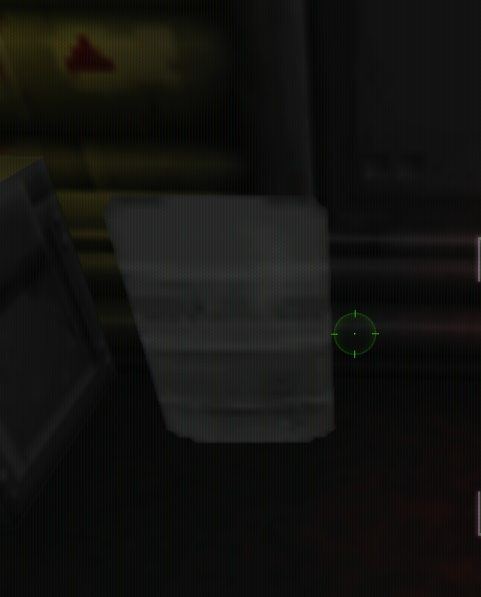 Since they are loaded first, they are always overriden by mods, this is why you play as Cygnis instead of Doomguy when loading Guncaster_Vindicated.pk3, and this is also why the textures are overriding the strife.wad base textures. Once I get them properly filtered so that they'll only load with doom, this should fix the problem with them showing up in base strife. I hope this clears everything up regarding the textures. Rest assured I'll do everything I can to make sure this works properly with everything possible. Strife included! Guncaster Vindicated aims to be balanced in favor of challenging gameplay. So you've come to the right place if that's what you're after. Strife, unfortunately, hasn't been completely re-balanced yet. It will work, and weapons/spells/powersuits/items/etc... will all be rebalanced to fit the Vindicated goal of challenge, however the enemies are not rebalanced in any way at all. You're welcome to test this out as much as you like. Re-balance and re-design of the strife enemies is a project I have planned for the future. No promises on when it will be done, but it's definitely something I want to be able to play myself. In the meantime, strife still works with all the re-balanced player/weapon/spell/item code. Sh4d0wS14d3 wrote: EDIT: No, you can pick up the barrels. I'm just silly. Yes, barrel grabbing in strife/heretic/hexen should work properly. I have coded barrels in these games to return back to Guncaster Official behavior for the grab animation and weapon (that being with no barrel/pod/whatever... shown), since I haven't animated them... yet. Dinosaur_Nerd wrote: Nope, that would require that I re-release a map pack separately that I have only slightly altered. That's not something I like the idea of. I would think reposting a slightly altered map pack altered specifically for Guncaster Vindicated play would actually be kind of fine, what with the vaccinated/supportive versions that allow other gameplay mods to work through it. But I can see where you're coming from. To be honest, I asked for separating it instead of just fixing it because the texture-part of Extermination Day was the biggest folder and that seemed like it'd be rather painful to work with. Huh, didn't know that was possible. I was thinking of editing the texture names and map calls instead. Thanks for clarifying. I did know this, but even though I've been playing with SLADE more recently, it seems like I forgot. It's why playing around with load order is important and all that, and I should be more clever than that. Although, I guess it's also because I enjoy keeping the difficulties from Guncaster Vindicated so I end up keeping it last most of the time - which ends up replacing replaced textures if the map pack has the same texture/sprite names. Spoiler: I did find this kind of hilarious for accidental sprite replacements, though. Was it not working properly in 1.3? Because I did forget to update for a while, and it's either that, or I've been punching barrels and forgetting that you hit the use button instead. Sh4d0wS14d3 wrote: I would think reposting a slightly altered map pack altered specifically for Guncaster Vindicated play would actually be kind of fine, what with the vaccinated/supportive versions that allow other gameplay mods to work through it. Thing is, this map pack would only work properly with Vindicated, and to me it just seems silly to post a separate map pack that only works with one mod when the same map pack that's compatible with multiple mods is available. I'd rather just have it included. There are textures and monsters (a special cyberdemon on map 26 that makes it possible to complete the level without using noclip) that are specific to vindicated that would not be present if loaded with other mods. Sh4d0wS14d3 wrote: To be honest, I asked for separating it instead of just fixing it because the texture-part of Extermination Day was the biggest folder and that seemed like it'd be rather painful to work with. SGT_Mark's code is actually very difficult to work with, but it is his code and he has a right to organize it however he wants. This problem, however, isn't very difficult to fix, just my ignorance from the past catching up with me. Rest assured I've already got it fixed and tested on my end and it will be working properly in the next update. Sh4d0wS14d3 wrote: Thanks for clarifying. I did know this, but even though I've been playing with SLADE more recently, it seems like I forgot. It's why playing around with load order is important and all that, and I should be more clever than that. The difficulty aspect of Vindicated shouldn't be overriden by any map pack you use. You can tell by checking to see if the skill levels are named things like "Wyrm" "Dragon" "Last of your Kind" and so on. If they're named something different, the map pack designer has jacked with the skill definitions and should be executed with a rusty chainsaw right up their pee hole reprimanded for screwing with gameplay in a way they shouldn't. Some map packs, however, do come with monsters and things like that built in. This mod is not compatible with map packs that change gameplay, and I really don't have the time to try to develop some super convoluted ACS hackery to force these special snowflakes to behave. This was a sprite causing that glitch, not a texture. Thank you for pointing it out, I have fixed the sprites as well. I've tested it with the fix and the bottle will actually look like a bottle instead of some bin in the next update. Sh4d0wS14d3 wrote: Was it not working properly in 1.3? Because I did forget to update for a while, and it's either that, or I've been punching barrels and forgetting that you hit the use button instead. Barrel grabbing stuff should have been working properly at release for Vindicated I think. I included footage of it in the trailer. It's cool that you're using slade to learn how mods actually work. Keep up the bug testing and reporting! it helps me a lot. gzdoom: /builddir/build/BUILD/gzdoom-3.5.1/src/p_mobj.cpp:3632: int AActor::GetMissileDamage(int, int): Assertion `false && "No damage function found"' failed. Tried it again several time in a new game, gave myself the draughsuit and a journal and it crashes everytime a projectile is reflected. Just to be sure it didn't come from my GZDoom, I started up Guncaster vanilla and did the same and it works as intended with no crash. I'm using GZDoom 3.5.1 on Fedora 28 btw. Aside from that, I'm really digging this mod so far! I'm glad you're enjoying the game! In regards to the bug, I'm unable to reproduce the error you're reporting. I tested this with only draughtome and one travelers journal as suggested in your report and tested against the projectiles from the cult soldiers and the imps. Everything behaves properly and I don't encounter a crash, game continues normally. I also tested this error using Archlinux GZDoom 3.5.1 compiled from source just to be sure there was no conflict with the linux package, and everything still works fine. What map are you on? Did you have any other items? Are you using any other mods? I want to ensure no crashes, but If I'm unable to reproduce the bug I'm really unable to fix it. Thanks for the report and I look forward to hearing back with more info. I'm using DOOM2.WAD but I've just tried with Freedoom1.wad and Freedoom.wad and it also crashes. The map doesn't seem to matter, I've first encountered it in hday16, but it also happen on map01 (Doom 2) and hday01. It seems to happen with all projectiles except cyberdemon's rockets. As for other items, I loaded up map01, typed "give DraughTomeBringer" and "give TravelersJournal" in the console and the crash still happen. I'm not sure I can have less items. I'm not using other mods either. gzdoom.pk3, DOOM2.WAD and Guncaster_Vindicated.pk3 are the only files loaded. One thing I did notice, is that it crashes only when the reflected projectile hit an enemy, if it hits a wall there's no crash. So here's the thing : When I wanted to install GZDoom, I figured I would save myself some trouble and get it through a package. However I could only find something for Fedora on a third-party repo (https://copr.fedorainfracloud.org/coprs/bnied/gzdoom/ if you are interested). But while looking through the wiki I've recently found the guide to compile it on Linux. And it looked pretty straightforward, so I removed the GZDoom package and followed the instructions. And now everything works just fine, both on the latest commit and the latest stable version! Still don't know why the version from the package would crash but at least now I'll be able to play without rude interruptions. Yoyogre wrote: So here's the thing : When I wanted to install GZDoom, I figured I would save myself some trouble and get it through a package. However I could only find something for Fedora on a third-party repo (https://copr.fedorainfracloud.org/coprs/bnied/gzdoom/ if you are interested). Glad to see things are working well for you now. In the future, when dealing with linux distros other than Debian, make sure you compile the game from source for your particular distribution. When downloading a pre-compiled package you won't know what the distributor has done with the code and whether it is up to date and compatible with your distro. The individual who compiled that particular package probably changed something they shouldn't have, or compiled it incorrectly. This will save you confusion and frustration should you encounter errors. Drough Tomes endlessly pop out of black treasure chests when you open it. So Guncaster vindicated is Guncaster 3.1 + Project brutality 3.0? Also in your gameplay video showing the secret ak rifle, I saw the old Strucker weapon sprites and wonder if you updated it to the new ones from GC 3.1? I like the new Strucker sprites alot more! Valherran wrote: Found a bug. The glitch can be seen here at 50:58. It occurred when you have collected powersuit and Dreadful, but open the black chest. This bug was fixed in version 1.4, you can update to the latest version of Guncaster Vindicated to fix this bug. If you are using the current version (1.5) and this error still occurs, please repeat it and provide a video of the bug if possible along with detailed steps leading up to the bug so I can attempt to reproduce it. Josko wrote: So Guncaster vindicated is Guncaster 3.1 + Project brutality 3.0? Also in your gameplay video showing the secret ak rifle, I saw the old Strucker weapon sprites and wonder if you updated it to the new ones from GC 3.1? I like the new Strucker sprites alot more! -there's much more to it than just what I've listed, you'd have to play to see for yourself. I've also personally re-written all of the attack and movement code to trim out the unnecessary hitboxes (like legshots and headshots) and added special switches to all the projectiles that makes sure Toaster Mode will work with everything! The strucker and pulverizer in Guncaster Vindicated are more powerful than their Guncaster 3.1 versions. Be aware, the monsters are also more powerful (a LOT more powerful...) so you'll really have to be on your toes, despite these strong hitscan weapons being more buff. The STG-44 from the beta of Guncaster Vindicated (The assault rifle you mentioned) has not been added to Guncaster Vindicated 1.5, I would like to add it in the next update, but I haven't done any work on it. The way weapons are animated in Guncaster 3.1 is a complete departure from the old method I got used to in Guncaster 2.8. So I'll have to learn how to animate the weapons in the new style before the STG-44 can make its return. All that being said, you should just give the game a play! That's how you'll find out if this is fun for you! This mod comes bundled with a special version of the HellOnEarthStarterPack which was made by SGT_Mark and customized for Guncaster by yours truly with new music and special mechanics that are supposed to prevent you from cheezing easy wins from some of the bosses. I've also completed several playthroughs to ensure that no bugs/glitches will prevent you from being able to complete your game. Disregard that last post. My version was indeed outdated. Do your costum monsters appear in other maps too by some randomspawner? I will ofcourse give it a try! Do you by the way know where I can find and change the strat costs? I looked with slade but cant find it, wanna change so all strats cost alot more, playing slaughtermaps like chillax im having over 100k dosh within 5 maps lol!